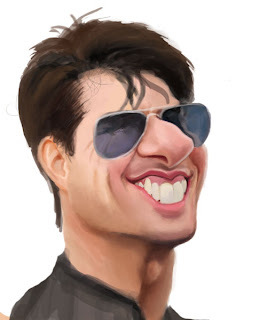 My first attempt ever at Tom Cruise...odd. Just saw him in Tropic Thunder and he was pretty darn hilarious. Not too far on this...got about 50 minutes in and need a ton more to actually make it look decent. Have a great 4th of July everybody!